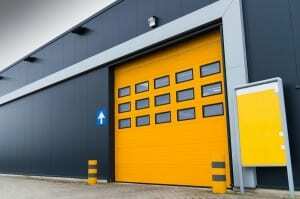 A broken commercial garage door is not just inconvenient; it’s also a safety hazard to your employees. In addition to this, a door in need of garage door service or repair can threaten the security of your business’s location. 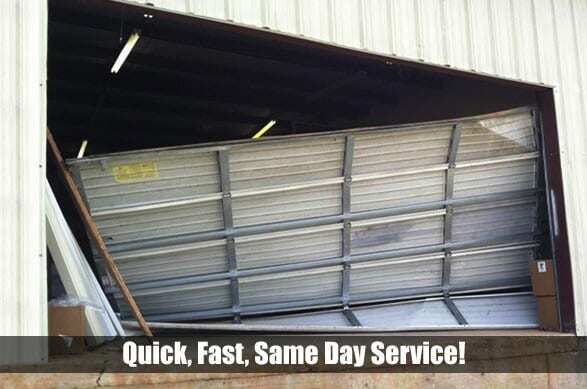 At Action Garage Door, we work hard to ensure your business never has to go for very long without a working commercial garage door, so if your entry door is jammed or slipped off the track, contact us today for service. Emergency services – When one of the cables snaps or one of the tracks bends in the wrong direction, it won’t always happen during business hours. Our response time for emergency service calls is within an hour. Technicians you can trust – Every one of our garage door installation and repair technicians has passed a background check. Whether you have problems with openers or cables and tracks, you can trust our technicians to treat you and your property respectfully. Experience in the industry – We have had the pleasure of serving commercial locations throughout Dallas, Fort Worth, Austin, Houston, and San Antonio, Texas for over 30 years. This has allowed us to accumulate a wealth of knowledge about commercial garage doors and the best ways to repair them. Since closures and entry doors are a huge part of any commercial garage door service company, we have trained our technicians to handle any repair involving these parts in as little time as possible without sacrificing for quality work. Throughout the service and repair process, our technicians will constantly communicate with you so that you’re aware of what’s going on at all times. If you’re in need of a service provider to take care of broken entry doors, closures, springs, rollers, or any other component of your commercial garage door in a flash, let us help you out.